We offer over 20 L.I.S. drills for auger or air hammer drilling. Our muskeg carriers are very versatile for a number of different uses. They are capable of carrying heavy loads through the wettest, roughest terrain to get the most difficult jobs completed safely and efficiently. 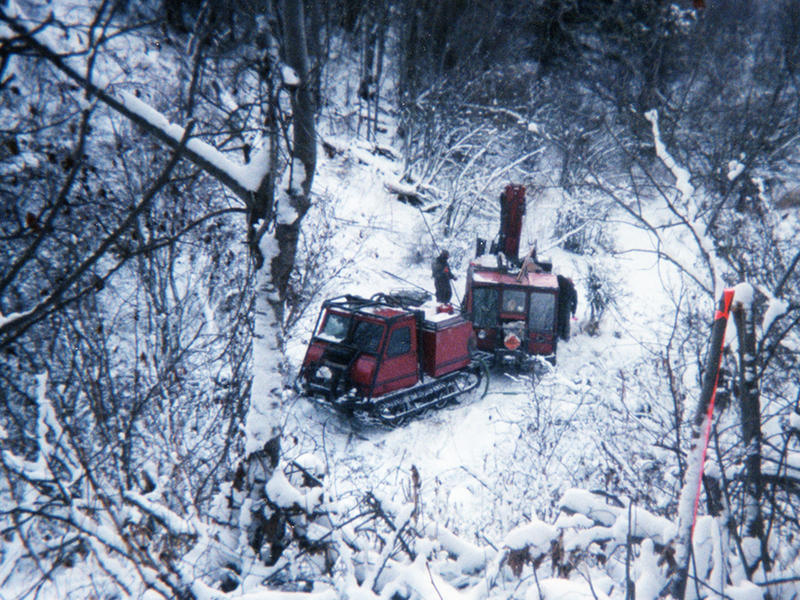 Wide steel grouser bar tracks equipped with ice picks and front mount winch, allow for proper and safe operations in steep or frozen terrain. All of our track drills can be equipped with air hammers for drilling in very difficult formations such as solid rock and overburden.